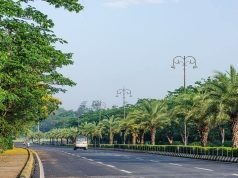 Bhubaneswar: The Bhubaneswar Municipal Corporation (BMC) has chalked out massive plans for the coming Odisha Hockey Men’s World Cup-2018 as the civic body would execute three main projects as part of the core city infrastructure and beautification group, to enhance the ambience across the State Capital. While civic body would have 80 km stretch of main road under mechanical sweeping, for which tender process has already been initiated so that the sanitation situation will improve a lot by the time the hockey tournament is on, there would be nearly 100 e-toilets across the city, making the environment clean and green. 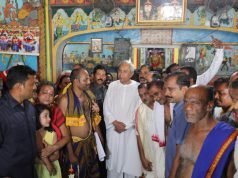 The e-toilets would be of stainless steel and may have auto cleaning facility as well. Similarly, in order to ensure better drainage system during the monsoon season and beyond, there would be temporary measures to end the water logging plights as the drainage master plan of the Works Department may take some more time to be implemented. Once the plan is available, the major roads and their sides will have an efficient way to remain sans water. The development of a continuous flyover bisecting city’s lifeline, NH, without any scope given for the drainage of rain water has resulted in a major problem. The proposed master plan by Works Department is likely to address the same. Meanwhile the cleaning of the secondary and tertiary drains across the city is nearing completion. “We will also take up cleaning of the basins of the 10 natural drainage channels criss-crossing the city’s spread. The work will be over latest by the second week of June,’’ said a senior BMC official. Like the success of beautifying the city during the Asian Athletics Championships -2017, the state government has decided to decorate the city with a central theme of hockey. As BMC has always been in the limelight for its execution of the wall painting work, this year also the artists commissioned by the civic body would work to paint the city with their creative ideas cantered around Hockey. Apart from the BMC initiatives to better the city’s civic conditions and beautify the surrounding, collectively there would be more in terms of pan city transport with more number of city buses and non-motorised alternatives. While the Capital Region Urban Transport (formerly Bhubaneswar Puri Transport Services) will have 200 new buses in two phases and also keeping the 110 old buses, the State Capital, will have a robust fleet of 319 buses before the Odisha Hockey Men’s World Cup-2018. Similarly, there would be more than 200 bus queue shelters (bus stops) across the city so that more and more people will use the public transport service. Under the Public Bicycle Sharing System under the Bhubaneswar Smart City Limited (BSCL), Mobike would introduce 1,500 modern cycles across a select area and within three years’time the number of cycles would go up to 6,000. The modern cycles would be available at nearest docking stations and mobile apps and QR codes would be used to issue the bike from a docking station. There is also an e-rickshaw project under BSCL, which with the public bicycle sharing system would help in reducing the pollution level in the city’s air. Sources also said that the temporary command and control centre (CCC), under construction in a 10,000 square feet space in BMC Bhawani Mall would be inaugurated around the last week of June. It can coordinate processes like monitoring adaptive traffic control system, tracking of solid waste carrying trucks and vehicles, city buses, fire service personnel and many organisations. 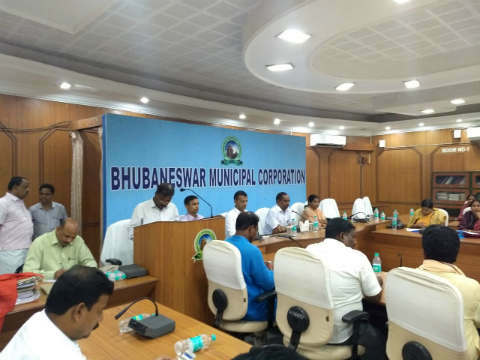 However, the permanent CCC will be established at the permanent BMC building at its proposed site in Unit IX area opposite Satyanagar cremation ground.